Companies often strive to determine who their most valuable customers are whom they would give special privileges to, invest in to build long term relations with, or send marketing offers via mails or any kind of direct marketing initiatives. The objective is to find out who the most likely buyers are, who buys most frequently, who spend the most. Recency, Frequency & Monetary (RFM) analysis is a model used to segment a target market into cohorts based on their behavior. 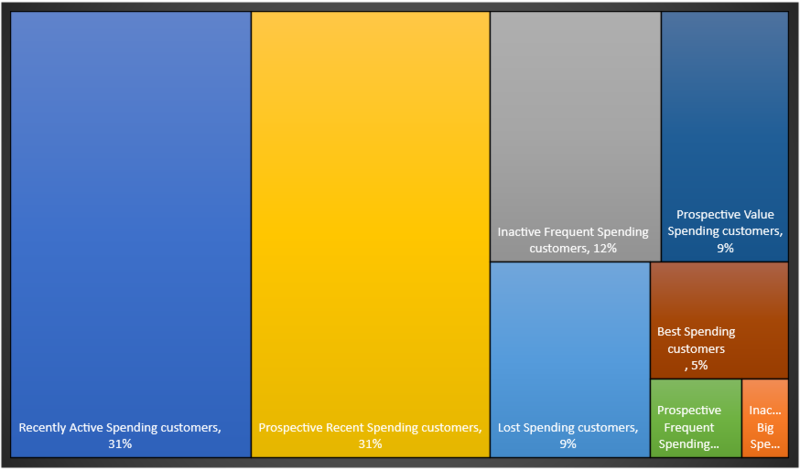 RFM groups customers based on their transaction history – how recently (R), how often (F) and how much (M) did they buy. Customers who bought most recently from an organization, are more likely to respond to the next promotion than those whose last purchase has been way back in the past. This is a universal marketing phenomenon and has been observed in many industries such as insurance, banks, cataloging, retail, travel, etc. In a similar manner, customers who have purchased frequently are more likely to respond than the less frequent ones. Also customers who are big spenders often exhibit much higher response rates than small spenders. 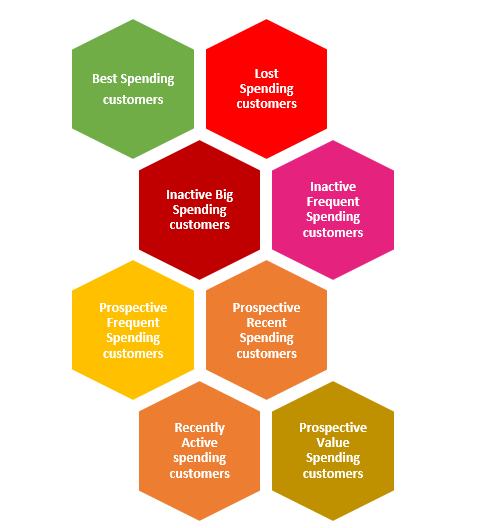 The type of customers need can be varied with different spending attributes and one can follow different nomenclatures for customer segments. But care must be taken so that the basic concept of RFM should remain the same. Prospective Frequent Spending customers – the strategy could be focus on upsell with these customers. Make them frequent spenders. RFM thus is a simple yet powerful analytics model for segmentation of customers and thus identifying campaigns based on the target segment of the customer.